Hi! I’m Miss NiNi and I’m a blogger from the Midwest. I blog about Skin Care, Makeup, Food, Gyaru fashion, etc. I also write blog posts for SheSpeaks, BzzAgent, and Influenster. Thanks for visiting!! 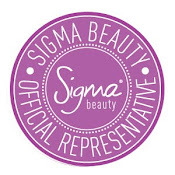 20% Off Sigma Beauty Coupon! One Week Only!! I’m Mzx NiNi and I’m a blogger from the Midwest. I love blogging about different products that I have used. If I can help at least one person I'm happy. Thanks for visiting my blog and don't forget to subscribe and/0r follow. Height: 5'2 1/2" I never made it to 5'3"
Hair: Transitioning to natural. I had my last relaxer in October 2012. ☆ My West Indian accent comes out when I'm angry. I always kind of have an accent, but you can hear it clearly when I'm angry lol! ☆ I wash my hands more than the average person! This is my Maltese named Snow. I believe his favorite hobbies are, stalking me, staring at me, eating, and stalking me some more! He recently went blind in one eye due to glaucoma. He's still as playful as ever! *Snow had his eye removed on October 14, 2012. Everything went well and he's doing great.